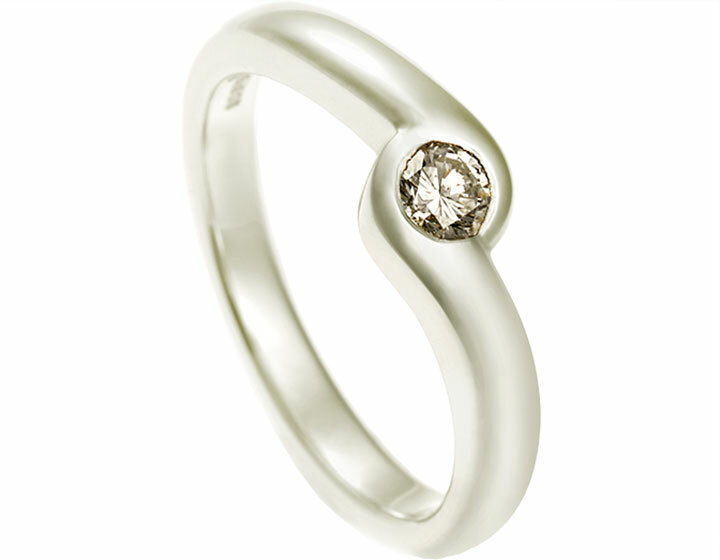 Joanne had some jewellery which she wanted to use the diamonds out of to create a Sterling silver dress ring which she could wear on a daily basis. 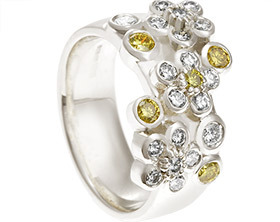 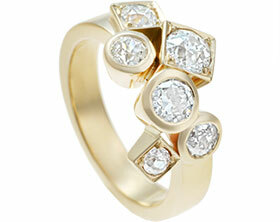 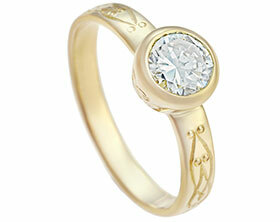 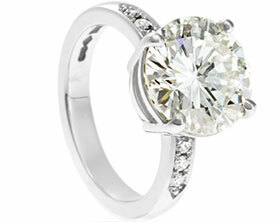 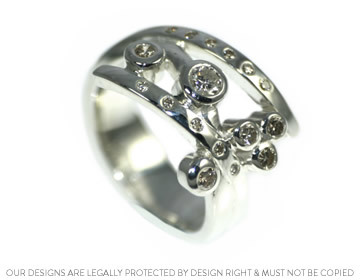 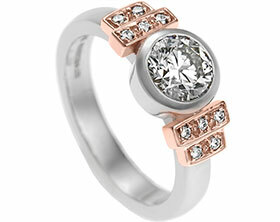 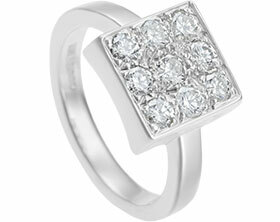 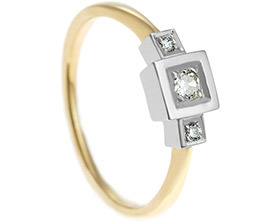 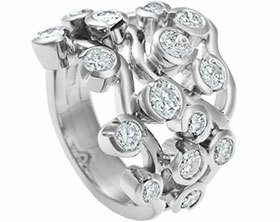 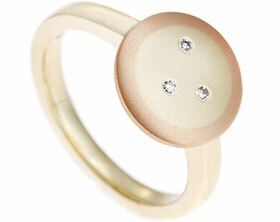 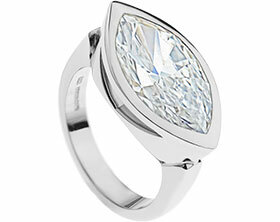 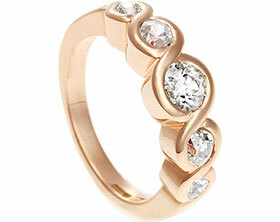 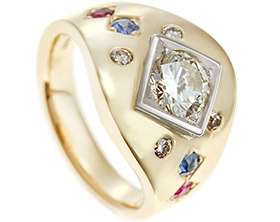 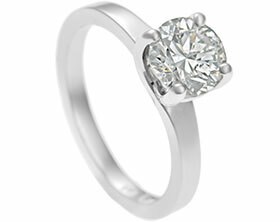 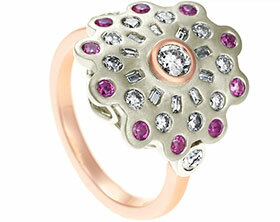 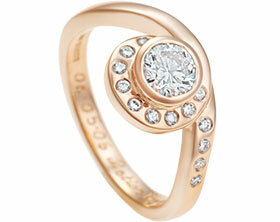 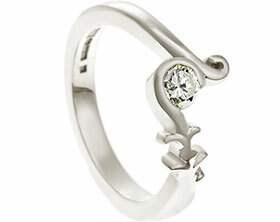 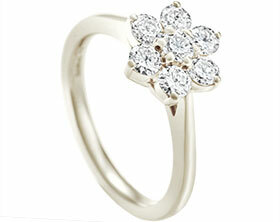 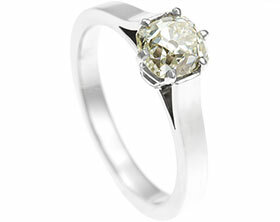 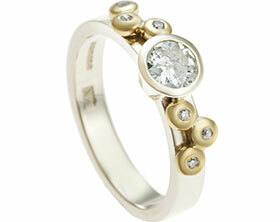 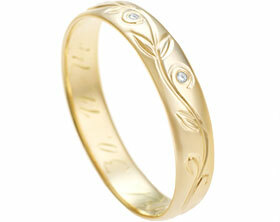 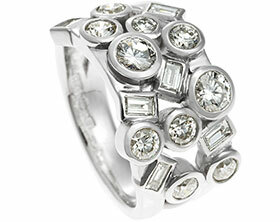 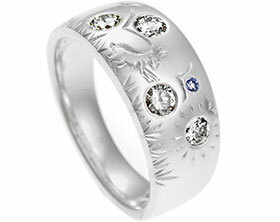 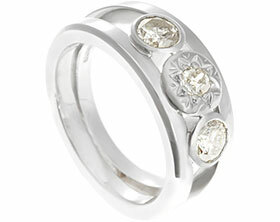 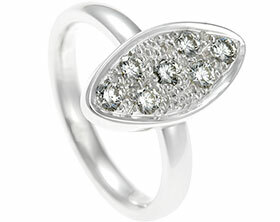 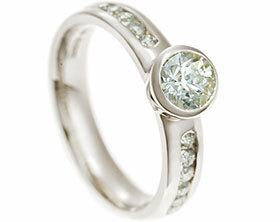 Joanne loved the design of a ring she already had so we used this as inspiration for the new design. 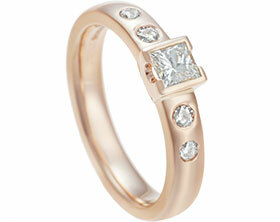 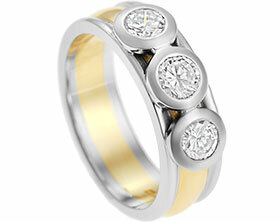 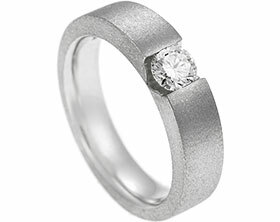 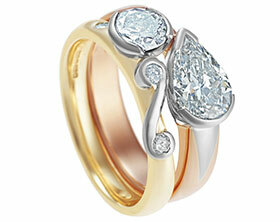 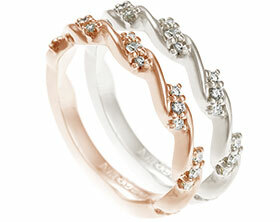 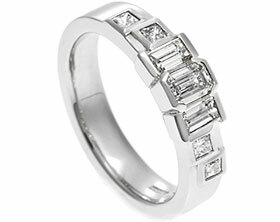 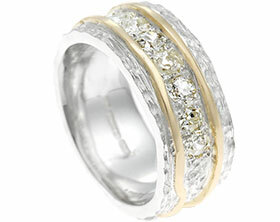 The band is a three strand band which we have all around set and invisibly set Joanne's own diamonds. 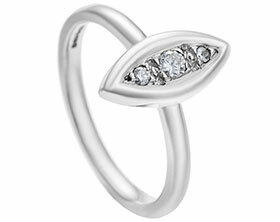 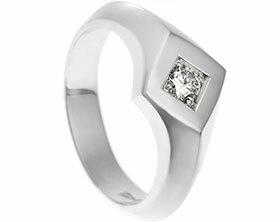 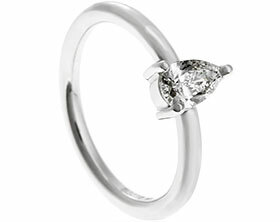 The ring consists of a central 3mm brilliant cut diamond, five 2mm brilliant cut diamonds and 12 1.2mm brilliant cut diamonds, all in Sterling silver to create an elegant everyday look.